One comment will be chosen at random to win the prize! 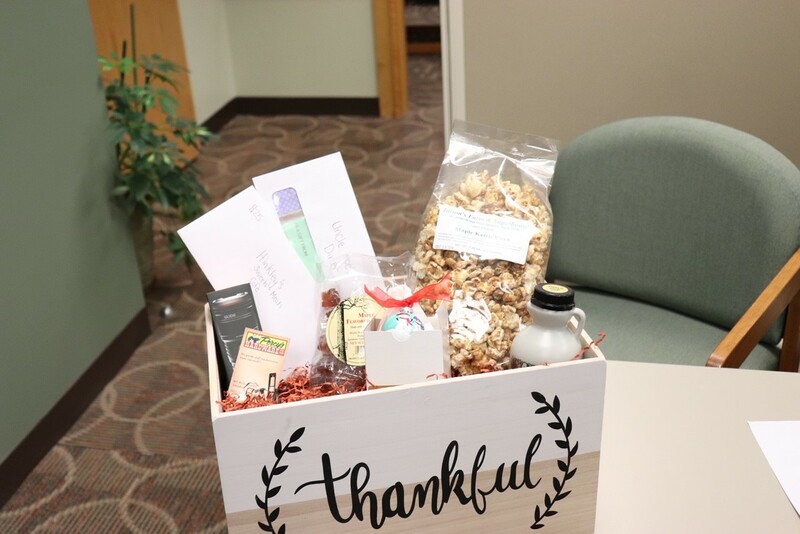 You could win a gift basket loaded with goodies from some of our favorite local small businesses. The basket includes a $25 gift card to Hinkley’s Sweets and Meats in Sabattus, a $25 gift card to Uncle Moe’s Diner in Sabattus, a NEBO Slydeking rechargeable flashlight donated by Percy’s Hardware in Litchfield, and finally lots of maple goodies and a beautiful ornament supporting Jillson’s Farm in Sabattus! 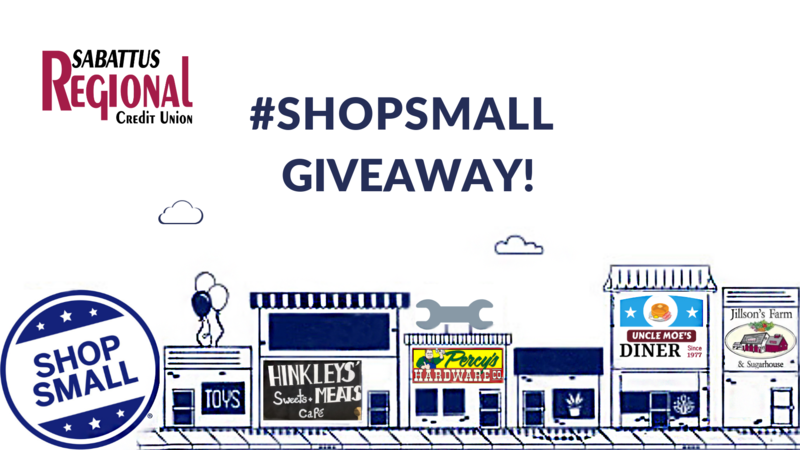 The 2018 SRCU #ShopSmall Giveaway is in no way sponsored, endorsed, or administered by or associated with, Facebook. Facebook cannot be held liable for anything related to the promotion. Hinkley’s Sweets and Meats, Uncle Moe’s Diner, Percy’s Hardware, and Jillson’s Farm are in no way sponsored and cannot be held liable for anything related to the promotion. The giveaway will be opened from 11/23/18 to 11/25/18 and we will announce the winners on 11/26/18. Employees and immediate family of Sabattus Regional Credit Union are not eligible to win. Winners must be able to pick up their prize at Sabattus Regional Credit Union.